Crafted from premium Grade A Indonesian teak wood harvested in an environmentally responsible manner. 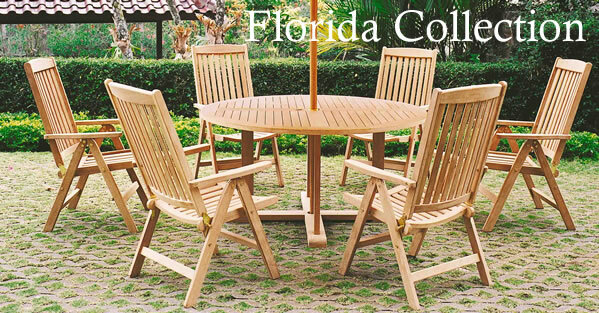 We offers a broad range of teak chairs, tables, benches, lounge chairs along with many other outdoor teak items. Custom designs are welcomed to enable you to design a memorable outdoor experience. We would enjoy the opportunity to work with you in creating a memorable outdoor experience for your customers. Call our sales team at 714.206.8884 between 8:00 AM and 5:00 PM PST Monday-Friday. Joe Widagdo at 714. 206.8884 will be happy to assist you. Whether you need dining chair pads or outdoor chair seat cushions you've come to the right place. Choose from our wide range of styles for chair cushions, chaise lounge cushions, seat cushions, bench pads, ottoman cushions and throw pillows. Contact us for more information.